I have small hands. A good pair of gloves is hard to find. I stumbled upon the Outdoor Research Longhouse Gloves four years ago. They’ve been a staple in my camping kit ever since. The material is 100% polyester, heathered, sweater knit with silicon grip pads. They have a little clip to buckle them together for safekeeping. 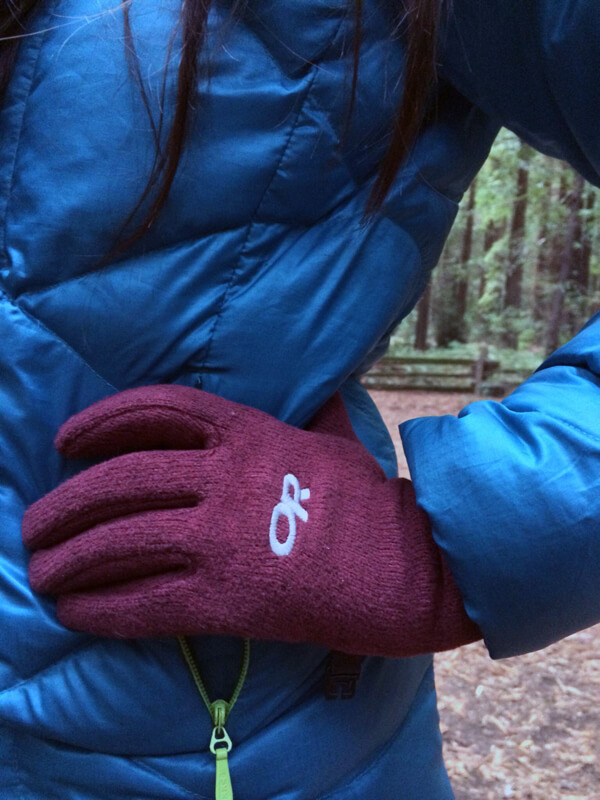 The Longhouse Gloves are incredibly versatile with use as an outdoor and commuter glove. These seem to run true to size. Mine are a size small and fit quite snugly with a ton of give so you can perform day-to-day activities without strangling your fingers or losing mobility. The fleece knit material is lightweight and warm as a daily driver. 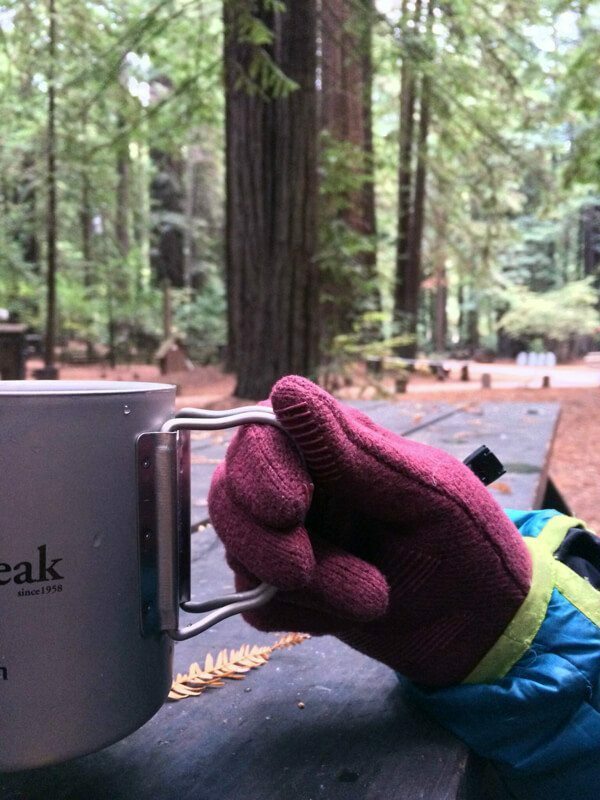 The Longhouse Gloves also make a great cool weather hiking glove. Breathable and light, it provides adequate protection from the wind and cold. The fleece is a bit on the thicker side, so these might not work as well as a liner glove. I use them when I’m cooking in the backcountry, or up early taking photos with no hindrance. Cons? The wrist gauntlet is a little bulky and can be hard to tuck under my sleeve for seamless integration. The fingers seem to be pulling at the seams on the right hand and some of the silicon pads are starting to lift from the fabric. However, I’ve had these for four years now and they haven’t deteriorated any further. In recent years, the Longhouse Gloves have been updated to be touchscreen compatible as well. 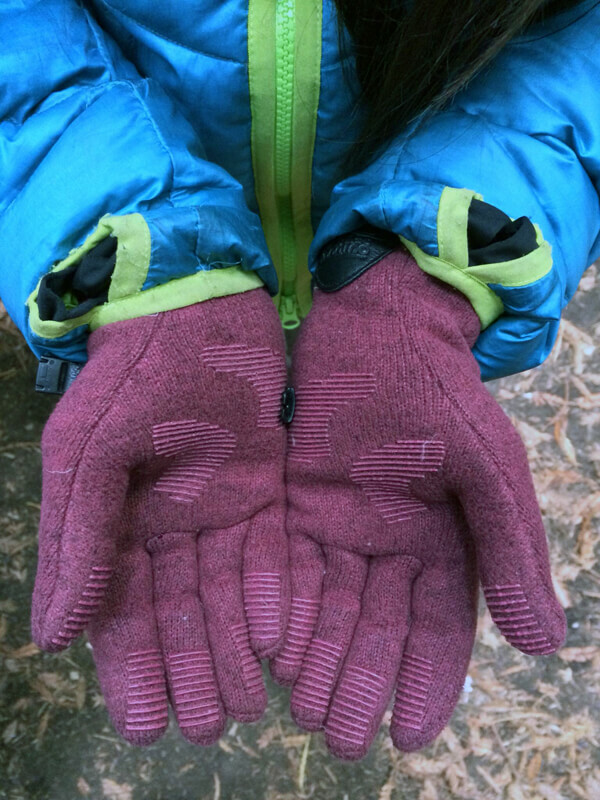 Buy the Longhouse Gloves through Outdoor Research or Amazon for $35.